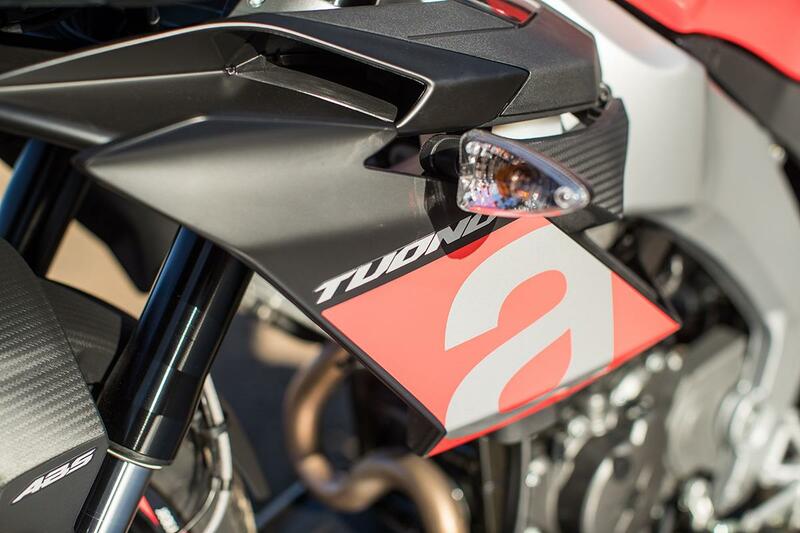 Drawing on Aprilia's impressive racing heritage, the Tuono is an aspirational 125 with good performance, brakes and comfort. A similar spec is available for less money (Yamaha MT-125, KTM Duke) but otherwise its got big-bike cred. 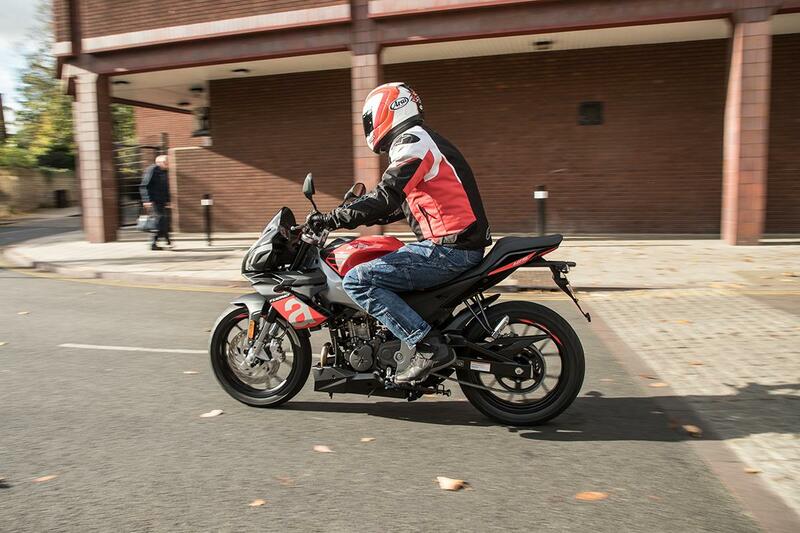 The Tuono is comfortable for a 125, with plenty of room for larger riders, and the upright position is a relaxed alternative to the more committed RS125, though the steering isn't as sharp. 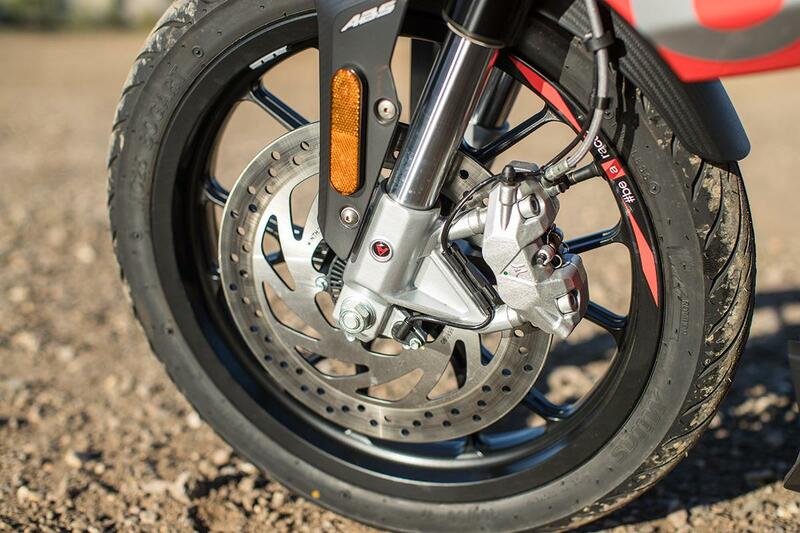 The brakes, with single-channel Bosch ABS, are superb – anti-lock on the front wheel only with an anti-stoppie feature (which you may or may not think is a good thing). 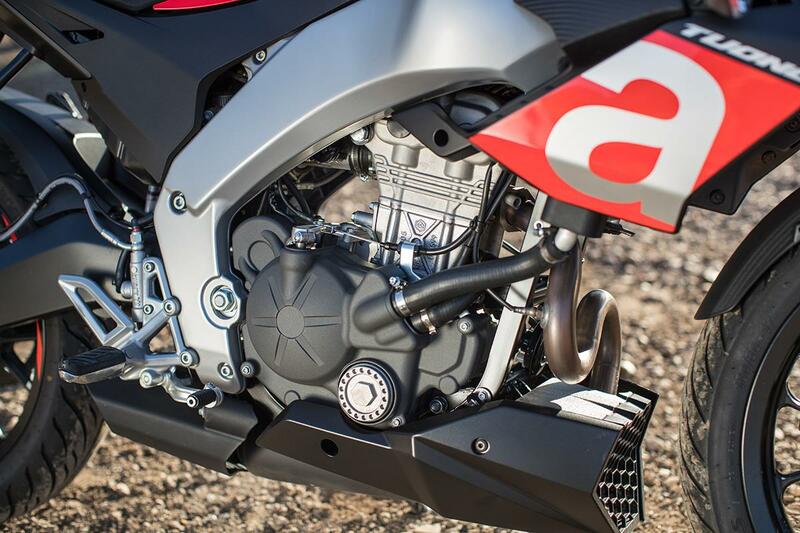 The DOHC 4-valve single doesn't sound inspiring but goes very well, producing the maximum 15bhp for an A1 bike. It's tractable enough below 5000rpm, but delivers real acceleration from 7-8000rpm up to the 11,000rpm red line. Great fun to ride. 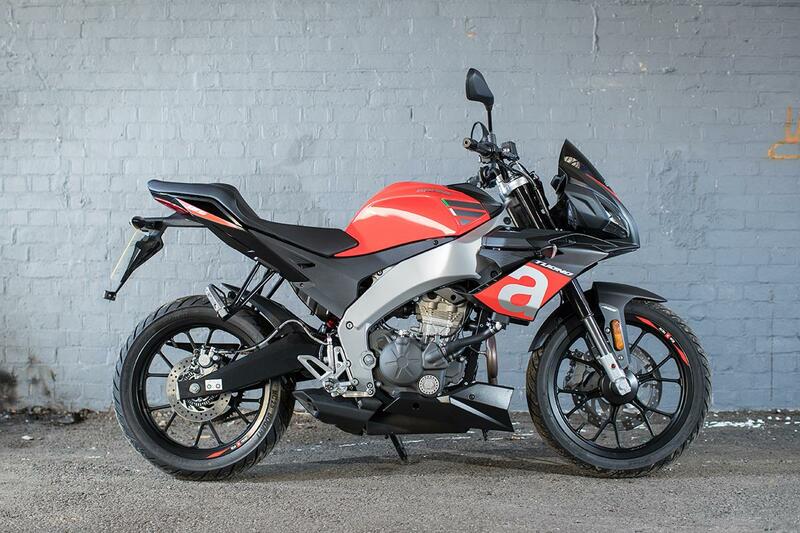 You'd expect decent quality at this price and the Aprilia is very well finished – perfect welds on the aluminium frame and steel swing arm, with quality paint and plastics. The RS125 has proved more reliable than its two-stroke predecessor. 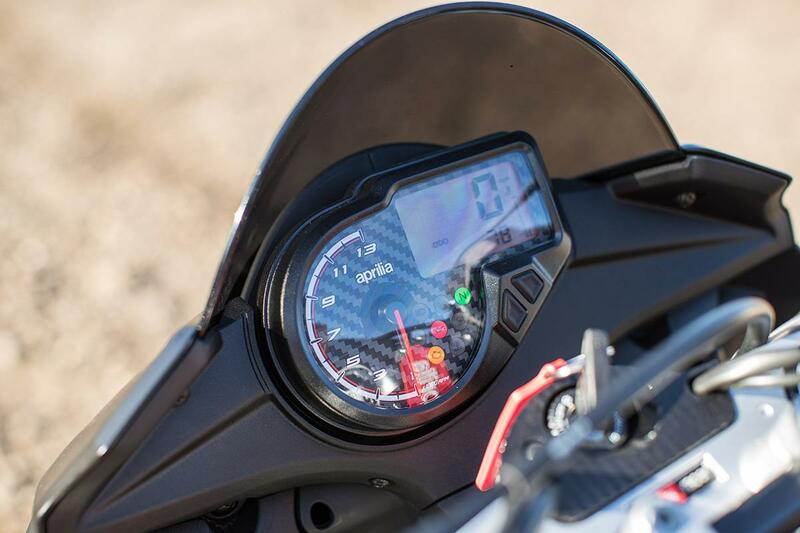 As a 125, the Tuono won't cost an arm and a leg to run, but it loses a star due to the high price. A mixed bag – the Bosch ABS (with radial front caliper), braided hoses and optional quick-shift are all impressive on a 125, plus you get a 14.5-litre tank, some underseat space and a USB charger. But the USD forks and rear shock are non-adjustable and the Mitas tyres aren't the grippiest. 1 owner has reviewed their APRILIA TUONO 125 (2017-on) and rated it in a number of areas. Read what they have to say and what they like and dislike about the bike below. I would and already have recommended this bike to people I know. The best overall feature is its looks as at first glance you don’t think it’s a 125, I think this is the best 125 on the market, definitely worth the hefty cost. The power from engine is a lot more than you would expect from a 125, you get speedy response from the throttle which is brilliant especially for young riders looking for a kick with a CBT and A1 eligible bike. It is a very well built bike for what you pay for it is very high standard. Out of all the different features the Tuono has to offer, my favourite has to be the quickshifter that doesn’t come as factory Standard but it is definitely worth the the extra £100. 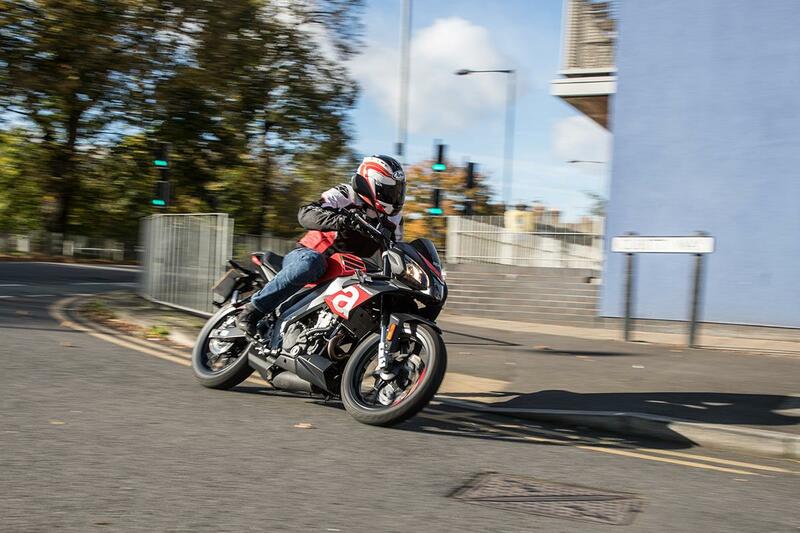 It also the only 125 on the market with a quickshifter which makes it that much better than its rivals. I had bought mine from a dealership in Manchester, of which I part exchanged my aprilia rs 50, i received a great deal from them as they advertised theirs for £4,599 and I only paid half that for the part exchange deal. 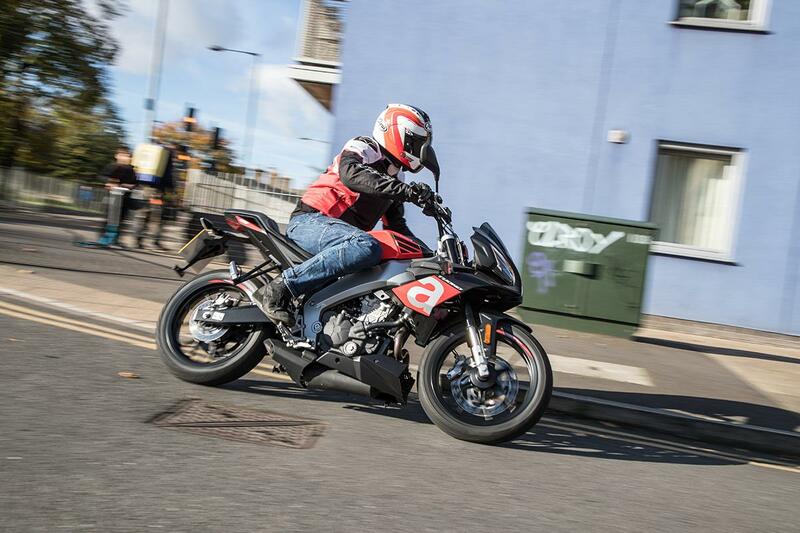 "One of the maddest motorcycles you can buy"
"Special 'Factory' version oozes Italian cool and style"
"Aprilia have created a class leading, outstanding bike, which now complies to Euro4 regulations." 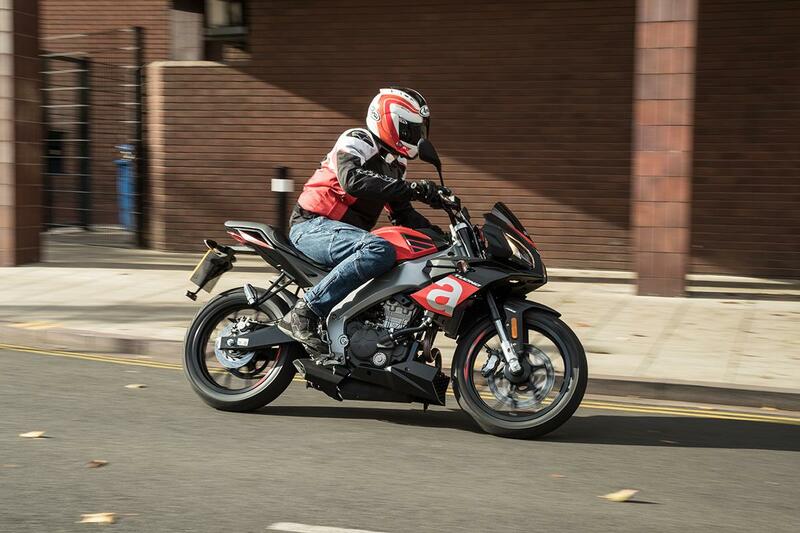 "Bears more than a passing resemblance to the best selling BMW GS; albeit in a learner legal package"
"A superb scooter, but there are cheaper options"